Description — 4° (26 x 19 x 1 cm), XII-76 p., pict. softcover with flaps, b&w pictures. 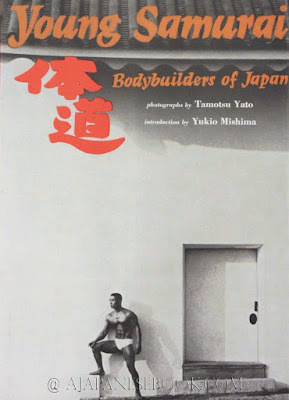 Introduction by MISHIMA Yukio, essay by TAMARI Hitoshi, afterword by YATO Tamotsu, List of photographs, Index of bodybuilders, in English. Remarques & avis / Review — Handsome Japanese bodybuilders (including Yukio Mishima himself) in fine gravured monochrome pictures, indoors and outdoors, in workout or competition! Divers / Misc. — 1st pr. in 1967.